I have fond memories coming to visit Bognor Regis in the early 80’s remembering the Ice-cream, the sea, slight sunburn and of course the wonderful world of Butlins with its massive Scalextric tracks and Concorde ride. I moved to the Arun area in 1989 and Bognor in 1997. Having moved from the suburbs of London, I soon started to meet so many people that had done the very same thing. My reason for moving was to start my family in a calmer, slower paced community with the beautiful South Downs and the seaside. 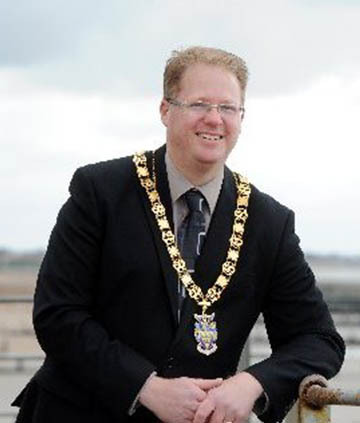 Having the great honour of being elected Mayor of such a wonderful Town, I can still see the reason so many visitors later take up residence in Bognor Regis or the local Parishes, as it still has the same appeal now as it did to me and for many residents whom live here now. 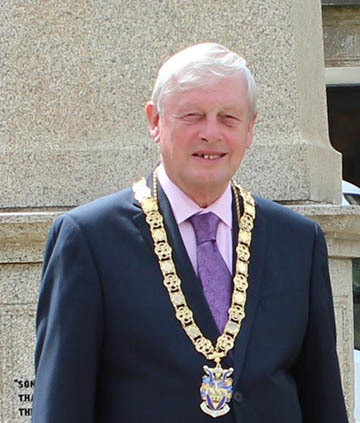 I am fortunate with my flexible working hours to be able to give my time to the promotion and betterment of the Town an am looking forward to my year as Mayor with a smile. 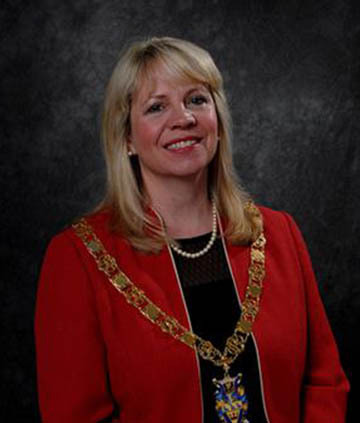 If you would like to invite the Mayor to attend a function please complete the form below, and return to the Mayor's Secretary - Mrs. Rebecca Vervecken, Bognor Regis Town Council, The Town Hall, Clarence Road, Bognor Regis, West Sussex, PO21 1LD, email mailto:rebeccavervecken@bognorregis.gov.uk or telephone 01243 867744. Please return the form as early as possible prior to you event, with a minimum of two weeks notice. Submission of this form does not guarantee the Mayor's attendance, and you should wait for a response regarding this. 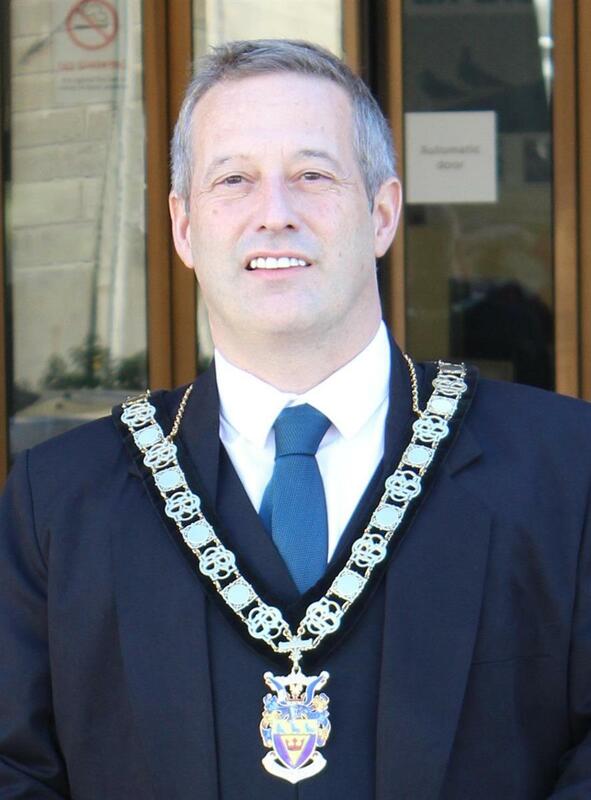 It is with great honour that I have been elected as your Mayor and First Citizen of the Town for the forthcoming year. I relocated to Bognor Regis from Enfield, North London in 1970 with my parents and siblings, at which time I enrolled at Michael Ayres Junior School before moving up to Bognor Regis Comprehensive School and eventually attending Worthing technical College to train as an electrician. I've had various Saturday jobs around the Town, which I thoroughly enjoyed- even helping Frank the Milkman on the Westmeads Estate where I lived! I'm very passionate about DIY and when I'm not in the company of my daughter, son and six grandsons, I'm often found working on some sort of project in the home or around the garden. I first became impassioned to join the Town Council after speaking to a childhood friend of mine regarding my concerns for some of the negative press the Town receives and wanting to find a way I could speak up for Bognor Regis. In May 2015 I was elected as a Town Councillor for Orchard Ward and the following year, made Deputy Mayor by my fellow Councillors. I am really looking forward to making a difference and serving you all as your Mayor this year. I hope to meet as many of you as possible! I have been married to my wife Maureen for 50 years and we share three children and three grandchildren. We first moved to Bognor Regis from Surrey more than 10 years ago and are proud to call this town our home. We are both actively involved in the local community and volunteer at the Alexander Theatre, working in the cafe and around the theatre. During school's half term holidays, I help organise Family Fun Weeks and other events to encourage children to use and enjoy their local theatre! I am a qualified Scuba diving instructor with the BSAC and used to teach on the circuit for the south east region. I have dived in places around the world, my favourite place being Gozo, near Malta. A retired tradesman, nowadays I spend most of my free time at the Theatre and helping out in the community. 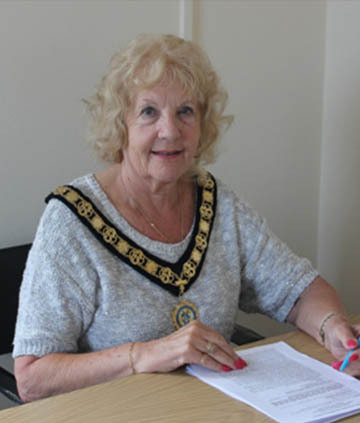 I am a Trustee of many local groups and during my year as Mayor hope to visit as many as possible whilst continuing to actively promote Bognor Regis and its wonderful people! This is my third time as the Mayor, the previous two were in 1997 and 2005 and I am privileged to serve the Town Council again. I joined the Town Council in 1995 after protesting about the closure of Marks and Spencer in the town and have been actively involved in everything Bognor Regis ever since. I moved here from Surrey 38 years ago following my grandparents and parents to the area. My two children attended Felpham Community College and I also have two grandchildren and they attend The Regis School. I thoroughly enjoy living by our lovely seaside and the surrounding countryside so leaving here would not be an option. I have had my own business in the area for many years and have thoroughly enjoyed being part of the community. Bognor Regis is a traditional seaside town and it is important to retain our heritage whilst ensuring we get the modern facilities we need to keep moving forward and improving. There are a number of new projects in the pipeline to hopefully bring about regeneration. 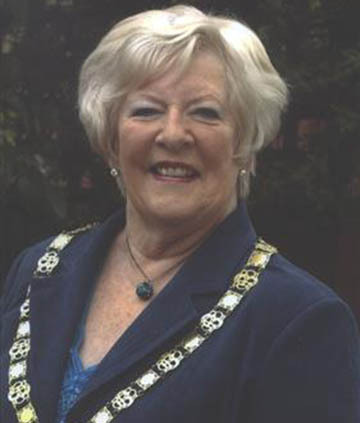 ‘The Toby Booker Fund’ is the campaign I have chosen for my charity during my year as Mayor. Toby needs to have an operation in the next year to enable him to walk and run with his friends, costing £40,000 for it to be successful and I very much hope to contribute towards achieving this throughout my Mayoral year. I moved to the area 11 years ago to be of support to our daughter, son-in-law and granddaughter due to my daughter’s ongoing illness. Born in Farnham Surrey, I have been married for 52 years to Sandra and we have three grown up children and three granddaughters. I was a councillor for 23 years in separate periods from 1971-2004 on Aldershot and Rushmoor Borough Councils! For many years we were involved in various charities. As a family when our children were younger we enjoyed many happy hours at Bognor Regis while staying at my mother’s caravan at nearby Selsey. Our daughter went to West Sussex Institute of Higher Education now UCC, the Bognor Regis campus, and is married to a local man. At Bognor Regis Town Council, I am a councillor representing Marine Ward and a past Chairman of the Environment and Leisure Committee. I became a member of Surrey & Sussex Association of Local Councils as a non payment director, promoting the causes of Bognor Regis. For 6 years I was a volunteer at the Regis Centre where I did many hours of painting. I am a member of the Roman Catholic Church. I am interested in all aspects of sport, especially football; my belief is that sport brings all communities together. As Mayor I hope to be able to visit all schools and religious communities in Bognor Regis. My feeling is that it is the people of the area that make the community and I aim to make contact with as many people as possible. I have always lived around Bognor Regis and have been a councillor since 1999, serving on town, district and county councils. I run a business from my shop in the Arcade and live in North Bersted with my wife, Jane and our two children. I’ve always taken a keen interest in Bognor Regis from an early age, and founded the very successful Sands of Time event, as well as being involved with the Birdman rally since 1996. I am particularly interested in the pier, so much so that I co-wrote a book about it in my teens and was involved in a bid for Heritage Lottery Funding in the nineties. I have more recently been involved in talks with the owner to safeguard this historic structure for the town and have chosen the newly formed Friends of Bognor Regis Pier as my charity to fundraise for during my year of office. Born in Durham to Scottish parents, we moved to Bognor Regis when I was three years old. My Father joined the then Bognor Regis Urban District Council. I was educated at Nyewood C of E School and Villa Maria Convent High School in Bognor Regis. I attended Secretarial College for one year and my first job was in the Treasurer's Department at Bognor Regis Urban District Council. I left there after five years to get married and start a family. 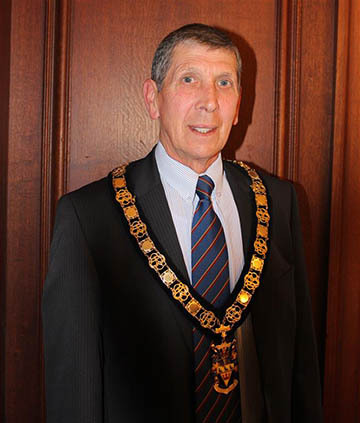 At this time my Father became Chairman of Bognor Regis Urban District Council. Other employments included ten years with Pearl Assurance in Chichester, working in the office of Age Concern, in a Doctor's practice and finally at the Head Quarters of West Sussex Fire Service in Chichester in the Personnel Department. My interests include singing in a local group, flower arranging, the W.I., where I have arranged various events, Horticultural Club and the Bognor Regis Organ and Keyboard Club. I also attend the Arun Leisure Centre in Felpham and am a keen walker. I have always carried a flag for Bognor Regis and am confident we can improve our image more and more, with the help of the Council and local organisations. I have lived in Bognor Regis since 1960 when my parents moved here from Wales to become the first children’s entertainers at the new Butlin's Holiday Centre. I have been actively involved in community affairs since the early 1980s, and was first elected to the Town Council in 2007. Music has always been amongst my chief interests. I sing and play fiddle and guitar in a local folk group and my house in Argyle Road has been home to Airship Records and recording studios, and later to Radio Bognor, now Spirit FM. With my father, Hal Brooks, I've also been a clown, touring Galas as 'Captain Jim' with 'The Super Sausage Squad'. I am extremely proud and honoured to have been elected Mayor of my beloved adopted home town. Together with the help of the people of Bognor Regis, its organisations. and of course my fellow councillors, I will strive to make the town an even better place for its residents and visitors. 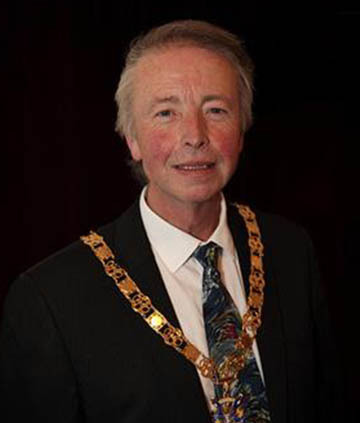 I have lived in Bognor Regis since 1985, and was first elected to the Town Council in 2004. I am divorced with two adult sons, one of whom, Adam, serves on the Council with me. I qualified as a Registered Nurse in 1983, and own a Care Home for the elderly in Aldwick Road. I don’t have a lot of spare time, but I do enjoy computers, cooking, cruising holidays and walking my Basset Hound Bertie! I have always been a keen supporter of tourism and events, as I see this a key way in which we can encourage visitors, raise the town’s profile, and thus aid the local economy. 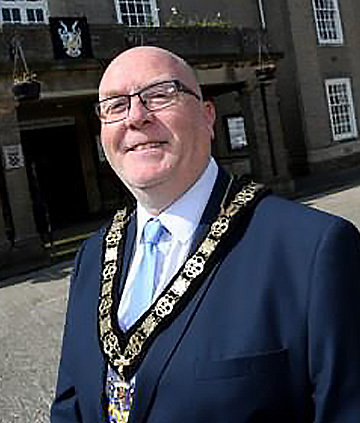 During the forthcoming year I will aim to be an excellent ambassador for the Town and promote it’s charms to those I meet in the course of my duties, as well as using my role to foster links between businesses, organisations and individuals where those opportunities arise. I would be delighted to hear from local people who have any suggestions or initiatives that we, the council could explore, and thus contribute towards making Bognor Regis an even better place to live and work.